Posted on July 12, 2013, in Digital Cinema, Technology and tagged big screen, digital cinema. Bookmark the permalink. 2 Comments. I think you’re right that the theaters often times don’t care. I imagine any problems with the contrast, the washed out image, were mostly on the theater’s end. Especially for digital film, they have so many image processing tools that they can employ to get the perfect contrast, and the guys making the film are the ones who actually care. You hope that the theaters do a good job setting everything up, but it’s not always perfect. 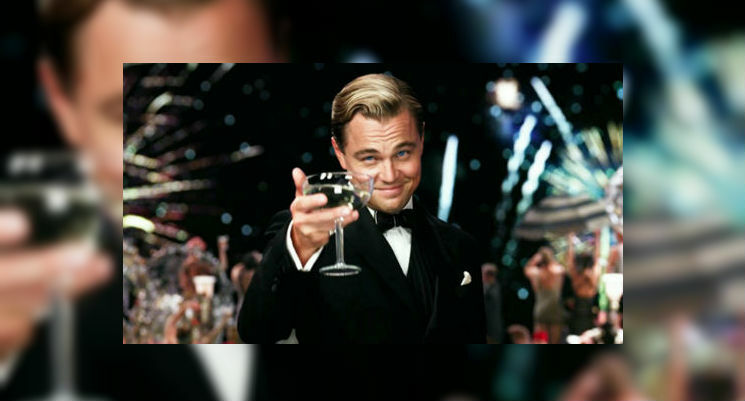 If you check out Great Gatsby in blu-ray on a nice large TV, I’m sure it’ll look pretty good. As far as the resolution goes, with some rough math… according to http://www.thx.com/professional/cinema-certification/thx-certified-cinema-screen-placement/ the furthest screen should be no less than 36deg horizontal field of view for the viewer. Photoshopping the diagram shows that 90deg horizontal field of view is about the third row back. Let’s use that since it’s an easy number, and probably the worst case for normal viewers since most people sit at least the far back. A 2K screen has 2048 horizontal pixels, which comes out to about 23 pixels per degree, whereas 4K is twice that at 45 (I’m rounding). http://en.wikipedia.org/wiki/Retina_Display gives about 53 PPD as the minimum for a “retina” display, and though that’s perhaps not a great metric it’s a good ballpark (human eyes being the weird things they are, I’ve been researching optics a lot since the arrival of my head-mounted display…) So a 4K screen approaches what you’d see when you hold a newer iPhone out in front of you: it’ll be hard to distinguish the pixels. 23 is DEFINITELY something you could detect. Especially if they defocus the projector slightly to compensate, I imagine it would look considerably less crisp than the 4K. Thanks for the links, and thanks for the explanation, especially regarding field of view. I’m still trying to figure this stuff out.